A little support goes a long way. 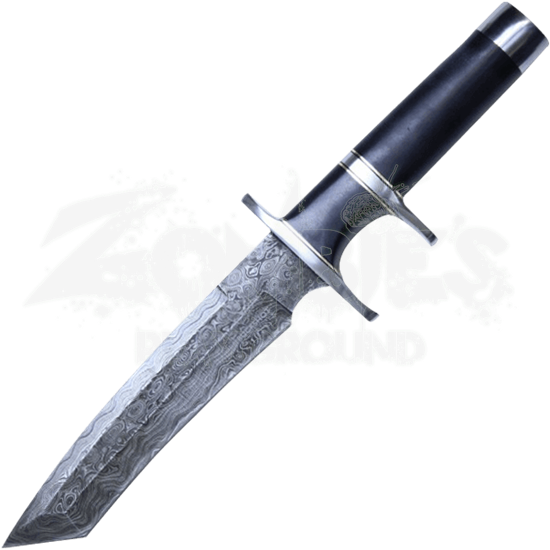 Our Damascus Steel Combat Knife has been crafted from steel that has been folded several times to create 250 layers. The knife features a tanto point blade with a gentle curve. The black modern style and sub-hilt on the grip provides significant reinforcement when wielding, slashing, or stabbing. Included with this unique blade is a brown leather sheath making it easy to access and transport. 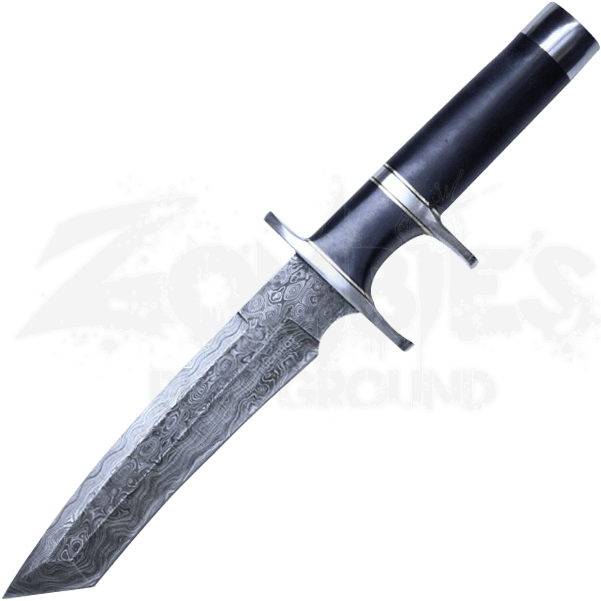 This knife is useful whether you are hunting, fishing, or for self defense, and is a must have for any knife kit or collectors set.